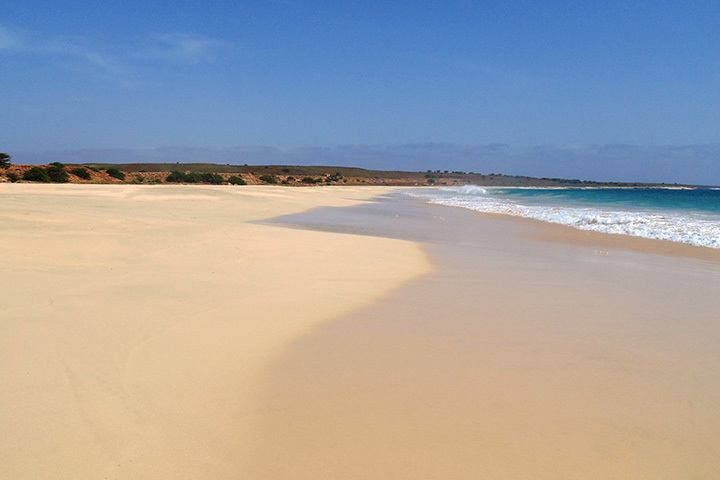 Santa Monica Beach in Boavista is one of the wonders of Cape Verde. 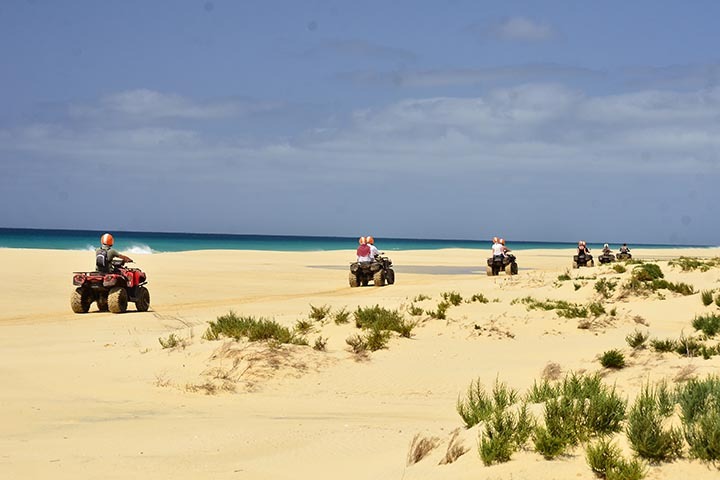 More than 22km long, in the south-west area of the island, it attracts almost all tourists but, despite the continuous excursions, its dimensions allow any visitor to experience the feeling of being completely surrounded by unspoilt nature. Often the waves are powerful, the Atlantic Ocean here is mighty, much more than in Sal-Rei and many points on the coast offer perfect spots for experienced surfers. 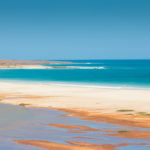 Especially in summer, the waves calm down and give a surreal panorama, a vastness difficult to describe, it seems almost to have the whole ocean for yourself. Despite the lack of vegetation, it is always possible to see many types of birds that hunt where the water is lower and, when it is a period of whales (spring) it is sometimes possible to see humpback hops or puffs in the distance. Very soon this beach will be a place of construction of large resorts, but for some time it is possible to visit it in its entirety as it was created. A small corner of paradise waiting to be explored and remembered as a pleasant experience. – The recommended ways to get to Santa Monica are the pick up or the quad, but you can also get there with a rental motor (with a little patience). – If you go for the first time, we advise you not to go there by yourself: this page lists the official excursions. Beware of going there with people who do not have a regular license or insurance. 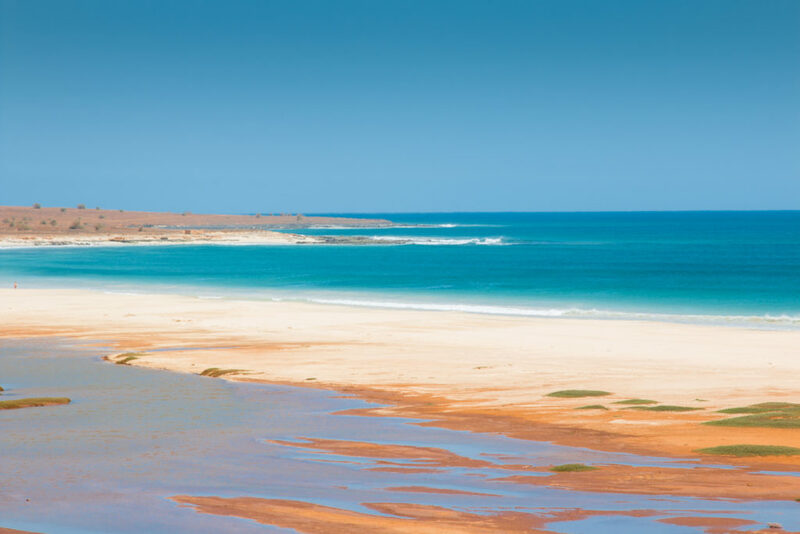 – Given its size, the beach lends itself to long walks and spectacular baths, but bring along water and a snack; in any case, the phone works very well here too. 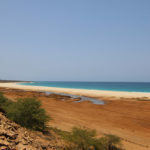 – The reflection of the sun on the sand is like on the snow: bring sunglasses, sunscreen and a hat; in winter it blows a lot of wind, but it is worth visiting this beach at least once, you will not regret it (it’s breathtaking). The tour starts from the small town of Rabil, where a brief briefing is given. 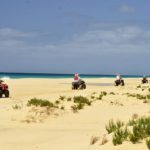 In quad you take the dirt road that leads to the oldest town of Boavista, Povoação Velha, in which there is a small stop. 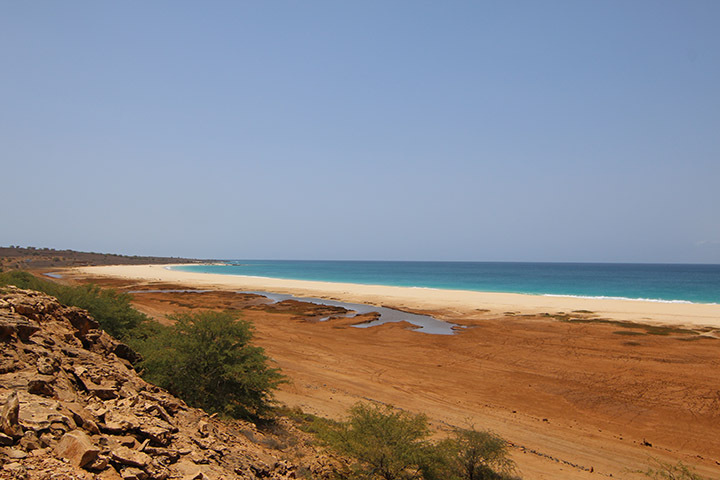 After visiting the small village we leave to go to the beautiful beach of Santa Monica, driving inside paths surrounded by acacias, in a river bed, where the stop is about 30 minutes, just the time for a nice bath in the Cape Verde’s longest beach. 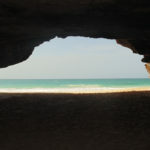 After having cooled off, we set off again along the beach to the caves of Varandinha, another marvelous beach, to take some photos and explore the natural cavities of the east part of the island. 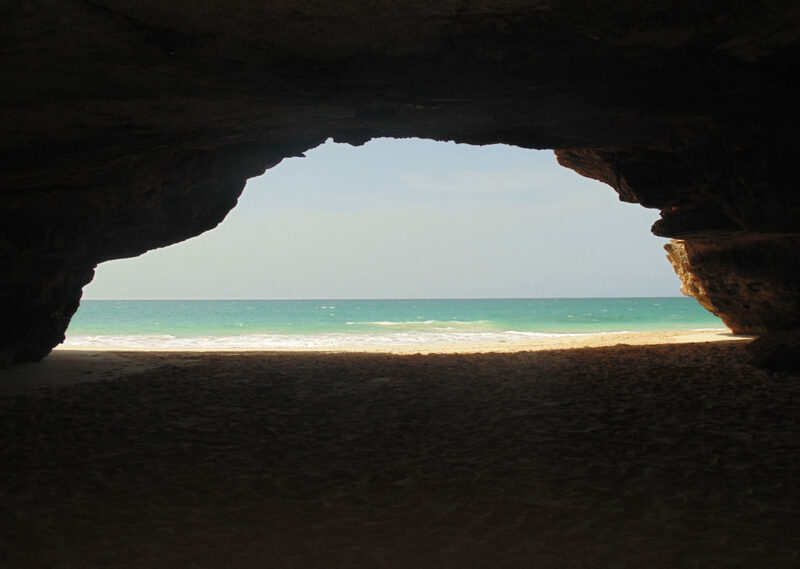 Last stop is the promontory of Morro de Areia, one of the most beautiful beaches in Africa, where the dunes dive into the ocean. The excursion is also suitable for children, from 7 years. No special technical knowledge is required and the excursion ends where it started. Pick-up or bus directly at the hotel or in the city. Further details will be provided after booking. 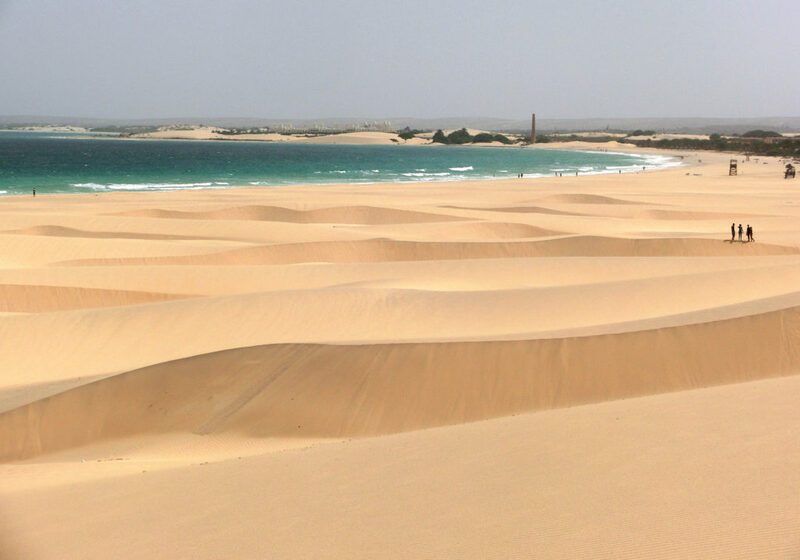 The tour starts with a walk on the dunes of Praia de Chaves that dive into the ocean. 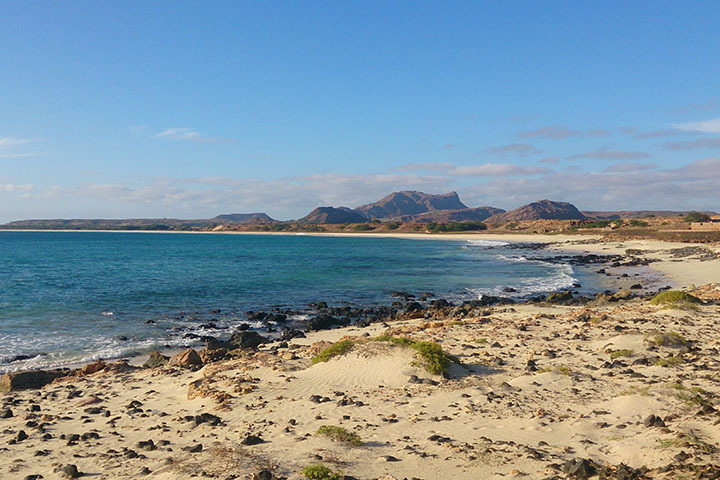 From here the track of land that, flanking the coast with a wonderful panorama, leads to Praia de Varandinha, destination for extreme kiters and birdwatchers. 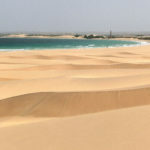 A couple of kilometers away is the oldest village of Boavista, Povoaçao Velha, and some still intact houses built with hand-made earthen bricks and thatched roofs bear witness to this. 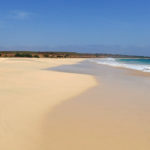 We continue towards Santa Monica, considered the most beautiful beach of the archipelago, 22km of white desert sand. Here you can have lunch, sunbathe and swim in a lovely bar / restaurant or simply relax in the hammock. 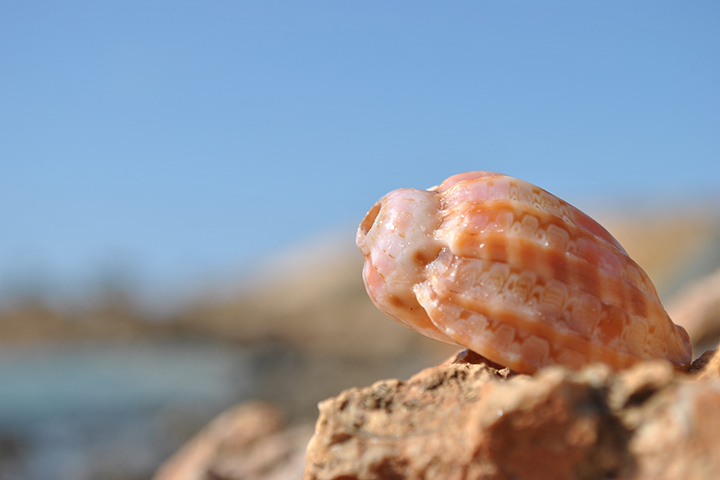 It is a tour dedicated to the most beautiful beaches on the island. The excursion is also suitable for children. The private tour in pick-up takes up to 4 people. The price shown is not per person, but is regardless of the number of people. No special technical knowledge is required and the excursion ends where it started. Expected return after about 4h (half day). Pick-up directly at the hotel or at your accomodation. Further details will be provided after booking. Payment on the spot, no upfront payment.